This is not the first time we see a photoshoot from Daniel Shofner, and there is always one guarantee, we get to see some great photography. 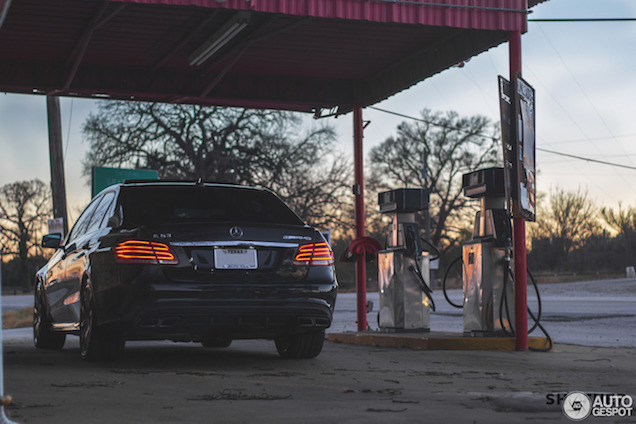 Daniel used a deserted gas station in Texas for the scenery and the results are great. A Dodge, Chevy or a Ford muscle car might have been more fitting, but the Mercedes E63S AMG is still a good choice. At least the car has a powerful V8 under the hood, a typical engine for an American muscle car. What a beast! AMG GT R in Montenegro!